I discovered Marina Tsvetaeva when I was browsing through a Russian poetry collection recently. I have never heard of her before, and when I read a couple of her poems, they did something to my heart. It was difficult to tell what, but there was a certain quality in them which tugged at my heartstrings and made my heart ache. I decided to get a collection of her poems. I got an edition of her selected poems, translated by Elaine Feinstein. When I got this collection of Tsvetaeva’s poems, I thought I will dip my toe into it and read a poem a day and see how it goes. But after I read a few poems, I couldn’t stop reading the rest of the book. The book had fifty poems (some of them were full poems while others were excerpts from longer poems, while others were groups of poems classified under one topic. I have counted each of them as one poem – whether it is a single poem, an excerpt from a longer poem or a collection of poems. I know that is inconsistent, but that is how the book is structured) and before I knew I had finished reading the book. I can’t remember now, which was the first poem from the book that I read. Marina Tsvetaeva started writing and publishing poems from 1910 and she continued doing that till her death in 1941. Like many of the Russian poets and writers of her era, she started with a happy childhood, suffered after the advent of the communist regime, tried to migrate to another country and live there, but couldn’t be happy there – she is quoted as saying “I went abroad in 1922, and my reader remained in Russia where my poems no longer penetrate…And thus, I am here without readers; in Russia, without books” – and finally returned back to her country. Her suffering became unbearable at some point that she committed suicide. Such a beautiful poet and such a tragic life. Here are some of my favourite poems (and favourite excerpts from longer poems) from the book. readiness to rush off – when we’ve just met? to say : how true we are to ourselves. into her lips, looks into her eyes. Once asleep – who knows if we’ll wake again? We have time, we have time, we have time to sleep! is – everlasting sleep. Your – everlasting house! life spurts out with no remedy. Now I set our bowls and plates. Every plate will be small. You’ll be fleeced, but your soul will escape. he puts you aside, to eat later. It’s not like waiting for post. You loved me. And your lies had their own probity. There was a truth in every falsehood. boundary as no one else’s could. graph cannot be foretold by the calendar. and then abandoned me on steppes of ice. My love, I know what you have done to me. – My love, what was it I did to you? – What are we doing? – We are separating. – That’s a word that means nothing to me. behind their sound lies : emptiness. Croatian? Is it a Czech whim, this word. Sep aration? To sep arate! far beyond the limits of longing itself. language. Or the language of women. Or men. Nor in the language of God. What are we – sheep? To stare about us as we eat. When the meaning itself doesn’t exist? the noise of a saw in your sleep perhaps. 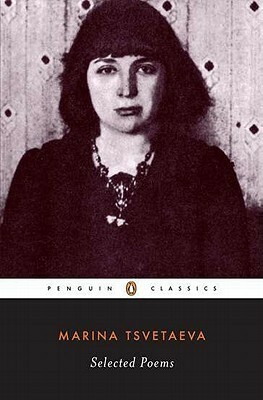 The book has a beautiful introduction at the beginning by the translator Elaine Feinstein which introduces us to Marina Tsvetaeva’s life and work. It is a beautiful, gripping read. The book also has a note in the end by Angela Livingstone, who helped Feinstein considerably in the translation, in which she talks about the challenges of translating from Russian into English – a very enriching essay which I loved. One particular line at the beginning of Livingstone’s essay stood out for me – “so many of the linguistic devices which she powerfully exploits (…changes of word-order, the throwing into relief of inflectional endings) are simply not available in English.” This is something that I have been thinking about for sometime – on how difficult it is to translate a sentence, especially a line of a poem or a poetic prose sentence, from a language which has cases and declensions into a language like English which doesn’t have them and how much of the beauty of language is lost in that translation – and I was so happy when Livingstone wrote about that. I thought I will take some time now and write about some of the fascinating challenges that a translator might face while translating poetry into English. This thought was triggered when I encountered two translated versions of one of Marina Tsvetaeva’s poems – one by Elaine Feinstein in this collection and another by David McDuff which was featured in the book ‘Russian Poets’. Actually, the two versions looked like two different poems, because they had different titles – Elaine Feinstein called her version ‘Homesickness’ while David McDuff called his ‘Longing for the Motherland’. But one particular word caught my eye accidentally – ‘captive lion’ in Feinstein’s version and ‘caged-in lion’ in McDuff’s – and when I spotted that, I realized that they could be the same poem. And so I took both the books and opened them side-by-side and read the two versions together. And I realized that they were the same poem but the translations were as different as chalk and cheese. Or like the two twins in the Alexander Dumas story ‘The Corsican Brothers’ who turn out differently. To explain it in a better way, I will quote a particular passage from each of these versions. my native language, its milky call. I will be frank, in advance. I love Elaine Feinstein’s version. David McDuff’s version – not so much. There is beauty and elegance in the first two lines of Feinstein’s version – ‘I won’t be seduced by the thought of my native language, its milky call’. McDuff’s version – ‘I’ll not let the milky call of my own native language cheat me’ – doesn’t quite measure up in terms of lyrical quality. Before I blame McDuff and haul him over the coals, I thought I should ponder a bit. Why did this difference come about? I am pretty sure that Feinstein and McDuff know their Russian well. How is it that one translated version is poetic and elegant while another looks contrived and artificial? There probably could be two reasons. One could be that Feinstein was doing a poetic translation – trying to capture the soul of the poem, but in her own poetic way and not translate the words literally – while McDuff was doing a literal word-by-word translation. The second reason could be that while Feinstein was trying to capture the soul of the poem in her translated version, McDuff tried translating it in the literal sense, explaining the meaning of the poem explicitly, thus losing some of its implied poetic beauty. In this poem, I think a combination of both these is probably true. When I look at a passage from another poem called ‘The Poet’ and see the translated versions of the same by Feinstein and McDuff, I find that the second reason could apply in this case. Here are the two translated versions. sign is on them, like the speck of the leper. might even have envied him. If. The world has fictions beyond vision. Job each hour of his agony. When I read the last two lines of these two passages, I find that McDuff’s version tries to explain the meaning more explicitly by differentiating between the people who are like the biblical Job and the actual biblical Job. Feinstein’s version doesn’t try to do that. What does a translator do when she / he is faced with a challenge like this? Does the translator go with a literal rendition of the poem or does the translator attempt a poetic translation of the poem which tries to capture the soul of the poem but shies away from a word-by-word translation? Should a translation read well or should it be faithful to the original? Also should a translation carry the hidden implied secrets of the original poem and leave them to be discovered by the reader or should it open the lid and reveal the secrets of the poem to the reader? What do you think about this? Marina Tsvetaeva’s poetry collection is definitely going to be one of my favourite poetry reads this year. If you would like to explore Russian poetry, this is a good place to start. I highly recommend it. Elaine Feinstein’s translation is sensitive and masterful (of course, you already knew I was going to say that, didn’t you 🙂 ) and though I haven’t read the original poems yet, I think I can say that Feinstein has managed to capture Tsvetaeva’s lyrical voice in her translation very well. Have you read Marina Tsvetaeva’s poems? What do you think about them? What are your thoughts on the challenges in translating poetry?